Update: The Instagraph app for Windows Phone has passed the certification and would soon be available for download on the Windows Phone Store. Now here is where it gets interesting, as the app doesn’t use the Instagram API’s you cannot create an instagram account (which is required to post the photos) from the app and we all know that Instagram does not allow creating user accounts on the web. To add to the woes, this app can be used to only post photos and not browse photos from other users. Windows Phone users, who for the most time have been ignored by app developers, can click pictures and apply filters on them using the Instagram based app called Instagraph. While the original Instagram app is not yet available for the Windows Phone platform, a new app called Instagraph is supposed to be released for Windows Phone, which allows you to upload photos to Instagram. Though the app doesn’t use filters from Instagram, it has its own filters from the open source Aviary photo filters, which has lesser options than Instagram. This app will be the closest that Windows Phone users will get to Instagram until Instagrams arrives on the Windows Phone. The app would be available to Windows Phone 8 users soon. Instagram was first realized for the iPhone and seeing its widespread popularity was soon launched on the Android platform. 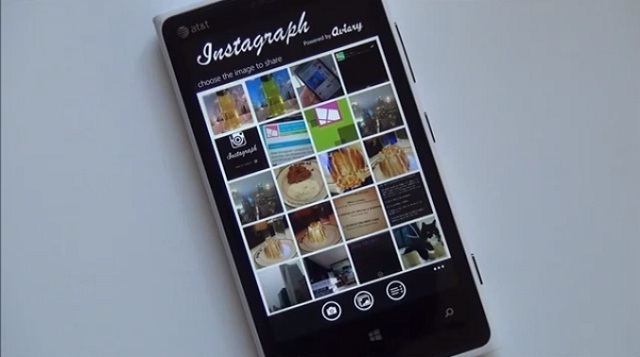 While there were reports of Instagram coming to Windows Phone, nothing has been materialised till now.